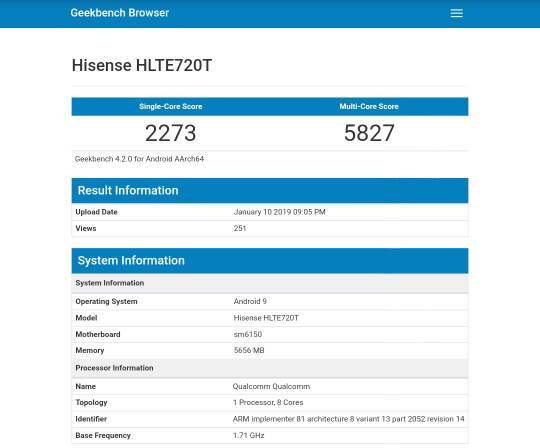 The HiSense U30 with Snapdragon 675 has unveiled in both Antuntu and Feel bench shows some key features.If the reports are true,it would be the first phone featuring Snapdragon 675.However,it is expected to launch at upcoming tech expo CES 2019. 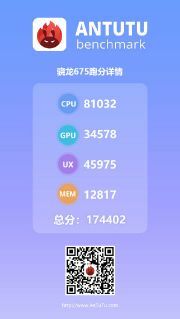 In Antuntu benchmark,it has scored overall 174,402 with 81032 in CPU and 34,578 in GPU tests.It also scored 45975 and 12817 in UX and memory test respectively.Looking to Geekbench,it has scored 2273 in single core and 5827 in multi core tests.It also revealed that its RAM as 6GB and clock speed is 1.71 GHz. 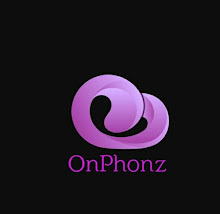 The expected features of this smartphone includes 6.3 inch punch hole display128GB storage,6GB or 8GB RAM,48MP+ 5MP rear camera and 20MP selfie camera and 3500 mah battery.